When I find a new way to get my toddler to eat healthy food I feel like I'm the smartest person in the world. I want to call the president and be like; "Um hello. 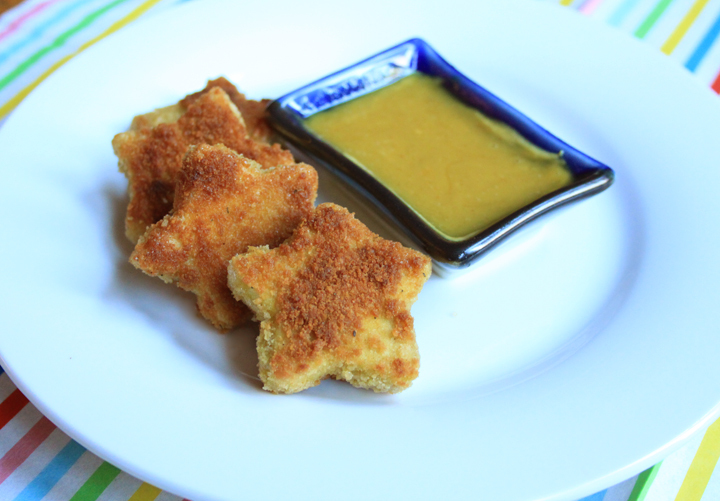 Did you know I just solved the problem of how to feed my toddler healthy food? Well, I guess you should put me on the next space shuttle to the moon because I'm a goddamn genius." And I totally deserve to feel this way. Cracking the code of finicky toddler eating habits is harder than I ever thought it would be. One minute she is like "Yum! Tofu!" and the next she is like "Tofu, floor, all done." 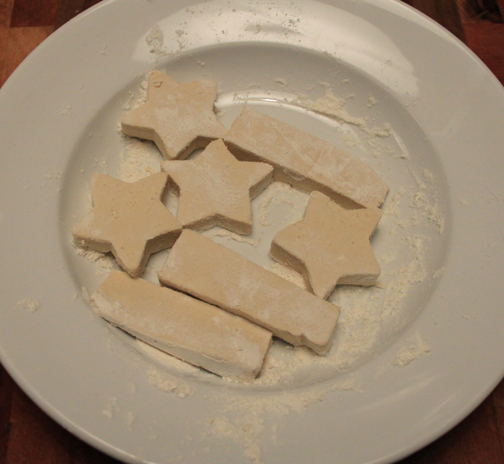 But, cut that boring old tofu into star shapes, bread it and fry it up in healthy olive oil and she is like "Star! Tofu! Star! Yummy!!" and gobbles it all up like it's chocolate chip cookies. Genius I say. Cut the block of tofu length wise into three sheets. 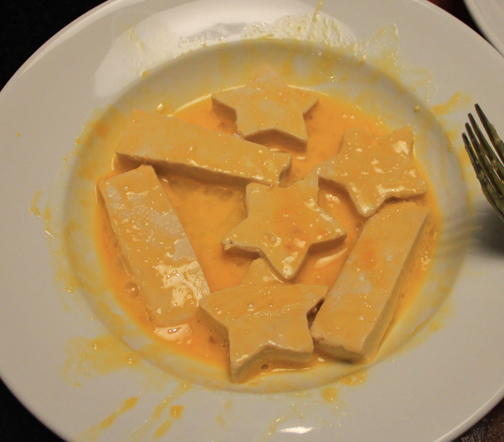 Use a cookie cutter to stamp shapes out of the tofu and use the areas that you are unable to stamp to cut into strips. 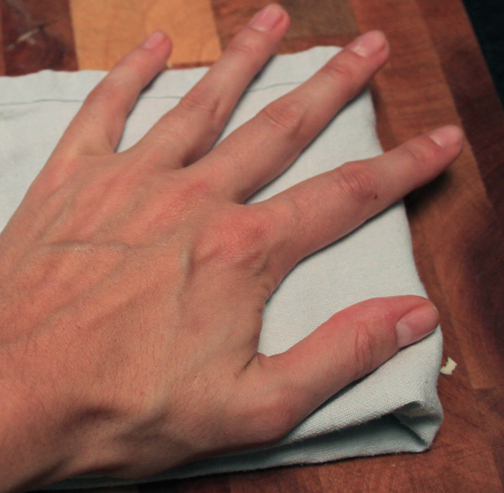 Use a tea towel or paper towel to press the extra water out of the tofu. (If you use the Wildwood Super Firm tofu you should only have to press a little bit to get the extra water out. If you are using another brand, you may have to press using a heavy book for up to 1/2 hour.) In a small bowl, coat the tofu with flour, then in a separate bowl coat them in the egg. Put them back into the first bowl and pour the bread crumbs on top. Toss them around until they are evenly coated in breading. In a medium frying pan heat the olive oil over medium heat. Fry until golden brown turning them every couple of minutes. 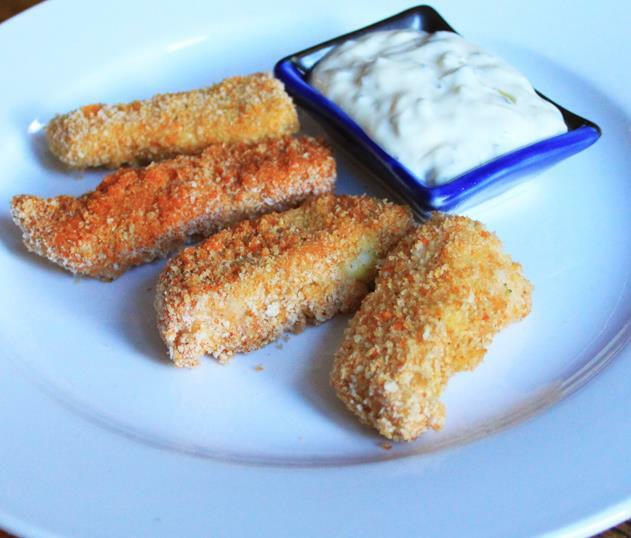 Serve with honey mustard dipping sauce or ketchup.